Jef Verheyen, who died tragically young in 1984, was a painter who was part of the last phase of European Modernism. 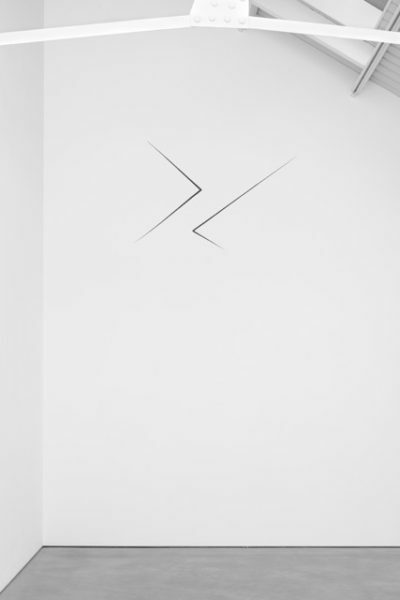 Finding no kindred spirits in his native Belgium, in the early 1960s he gravitated towards members of the Zero Movement and became close to figures such as Lucio Fontana and Piero Manzoni. Defining the Zero Movement in 1958, Otto Piene described it as “a zone of silence and of pure possibilities for a new beginning”. 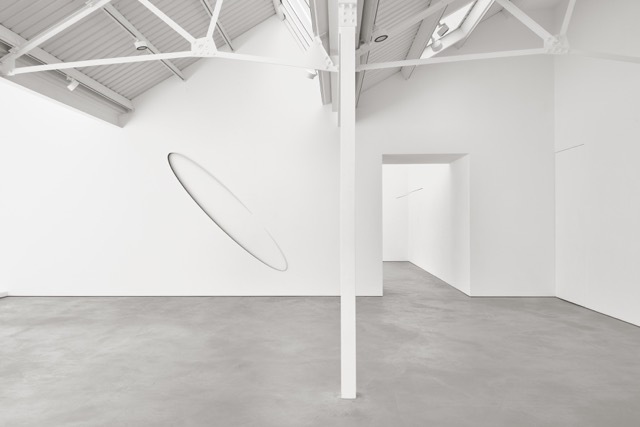 Walking into the gallery on a hot and breathlessly humid afternoon, encountering the conjunction of Verheyen’s paintings and Otto Boll sculptures in the immaculate white spaces felt very much like entering a zone of silence. The pairing of these two artists is inspired. 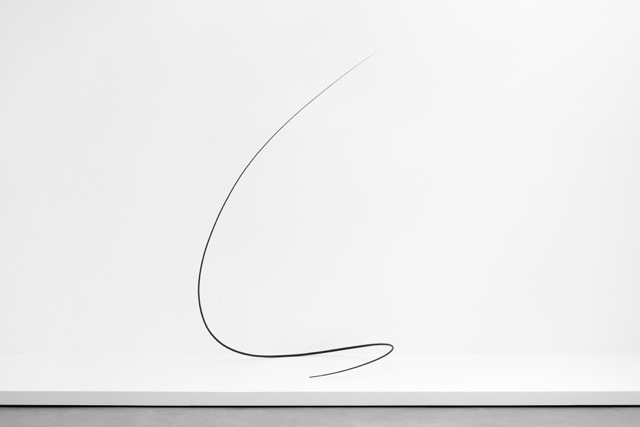 Although Boll is 20 years younger than Verheyen, his sculpture sits comfortably within a formalist, Modernist tradition. Both artists exhibit a delicacy and precision of thought and facture in their work that demands the viewer still themselves and become acutely alert. 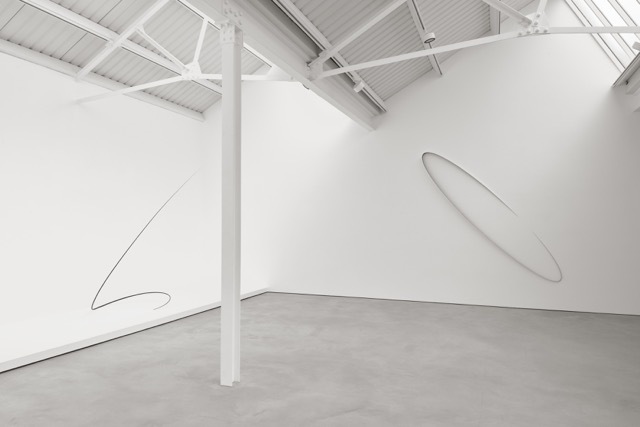 Otto Boll’s sculptures float in space, or appear to hover just above the ground. 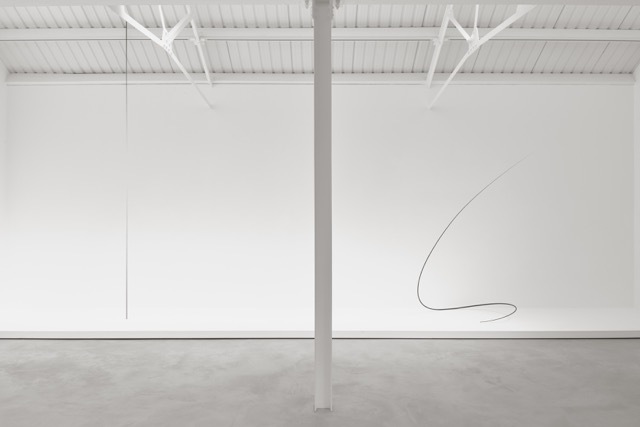 Impossibly slender, black linear gestures, they taper at each end to so fine a point that they appear to melt into the air. 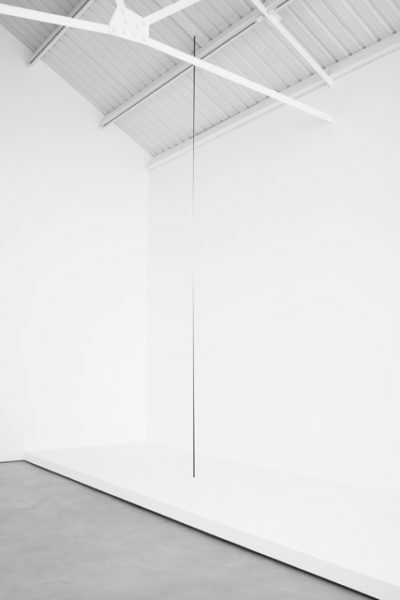 If American sculptor Fred Sandback’s equally minimalist sculptures of coloured yarn conjure volumes in a gallery, Boll’s work does the opposite – it conjures up the void. 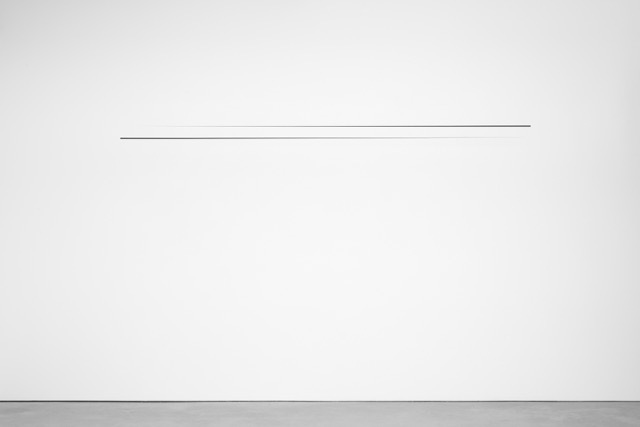 The show is hung so sparely – there are just nine works in total – that emptiness crowds in and suggests the atmosphere of a chapel, or space for meditation. Through the intense looking required of the viewer, the spiritual and philosophical dimensions of abstract art are powerfully present. 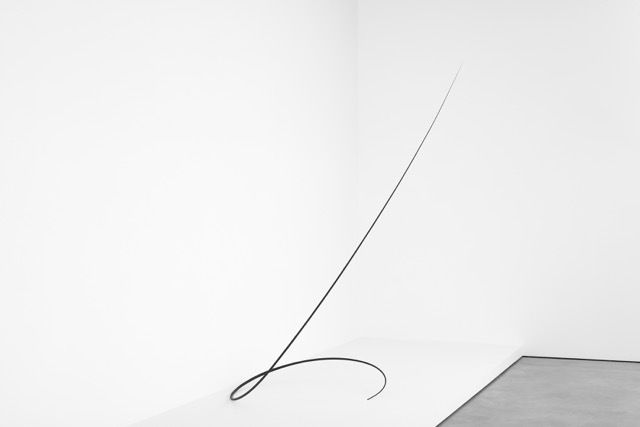 The sculptures demand that we circle them, appreciating how their forms mutate, and almost vanish from some angles. Their supernatural stillness is miraculous – like a fissure in the air or a mirage of material presence. And then there are the finely tuned relationships between individual paintings and sculptures. 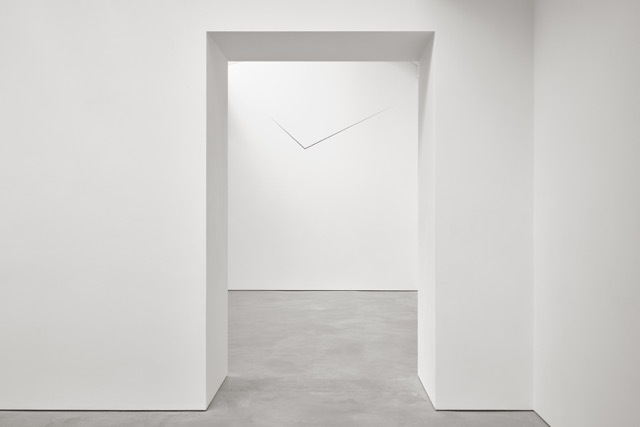 In the first gallery, simple diagonals and chevrons connect the works formally. 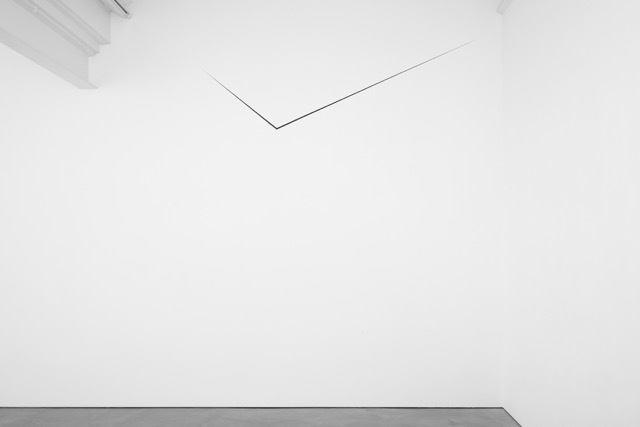 Boll’s chevron-shaped sculpture greets you as you enter the space – performing something like a yogic feat of levitation. The chevron is the only compositional device in the adjacent painting. 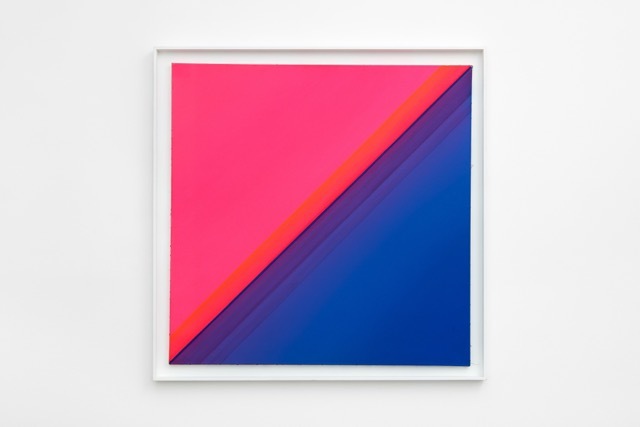 Both Verheyen’s paintings here, whether in numinously pale grey and violet, or punchy fuchsia and ultramarine, hold form through colour. 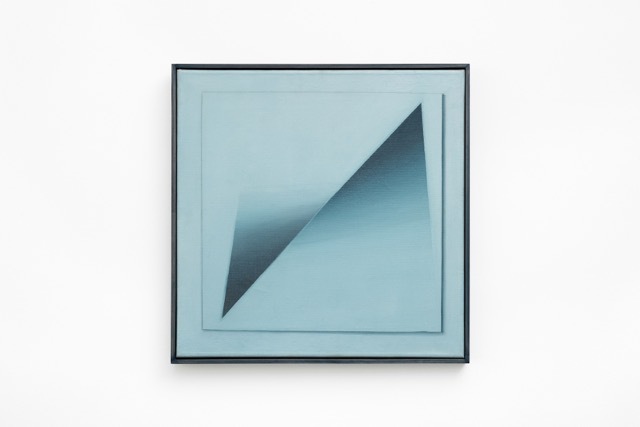 True to the principles of the Zero group, Verheyen’s paintings are made up of thin layers of matt paint, with no trace of the artist’s hand at work. The subtle gradations from one colour to another can produce a sensation of depth that calls to mind James Turrell’s light environments. 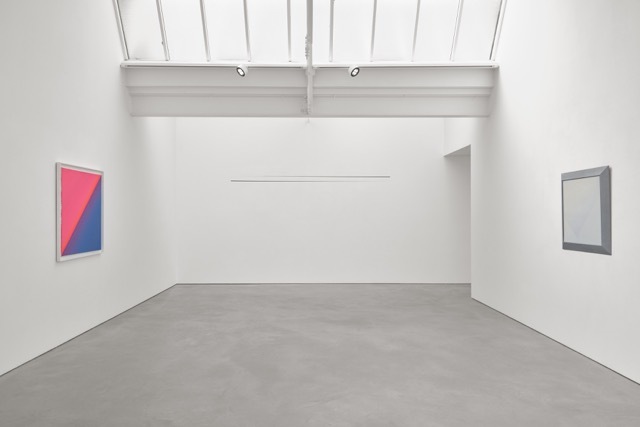 In the 1960s, Verheyen showed in Paris with the legendary Iris Clert, site of Yves Klein’s famous show Le Vide (The Void), in which he emptied the gallery of absolutely everything. 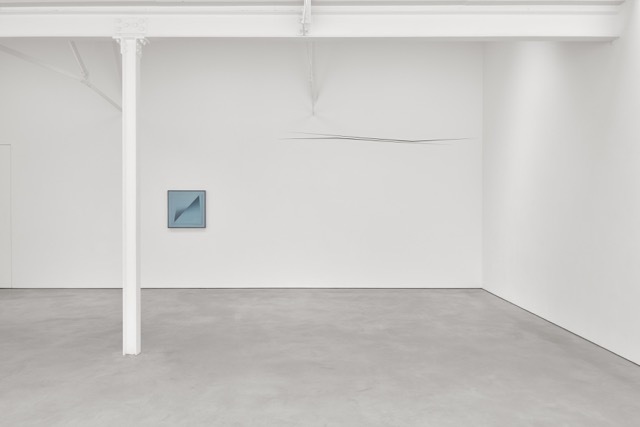 One also thinks of Klein’s blue monochromes that were always said to reference the endless azure skies of his South of France home. 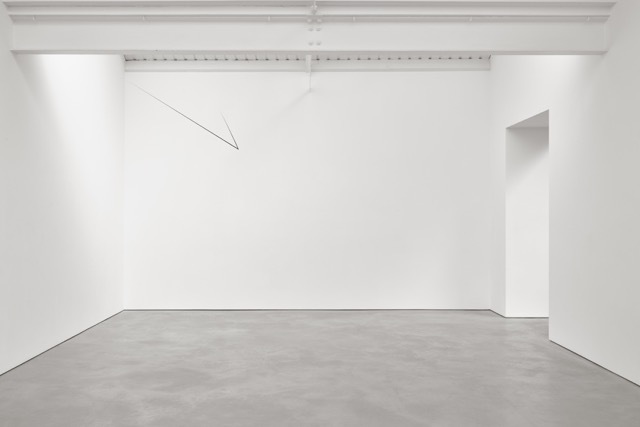 In the larger space beyond there is only one painting and four sculptures. 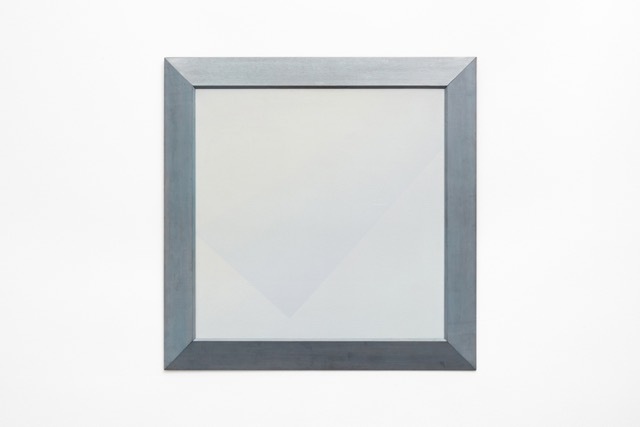 The mandala-like painting is a composition based once again on a strong diagonal, bisecting the picture plane and creating two mirror-image triangular forms through opposing gradations of grey. 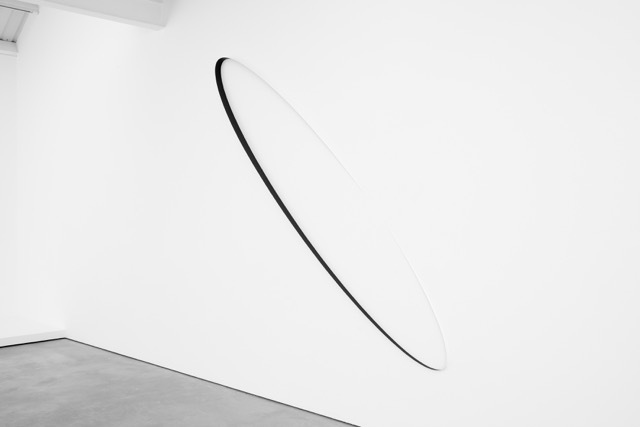 On the wall at right angles to it is a sculpture formed of an elliptical strip of metal, painted black on one face and white on the other. 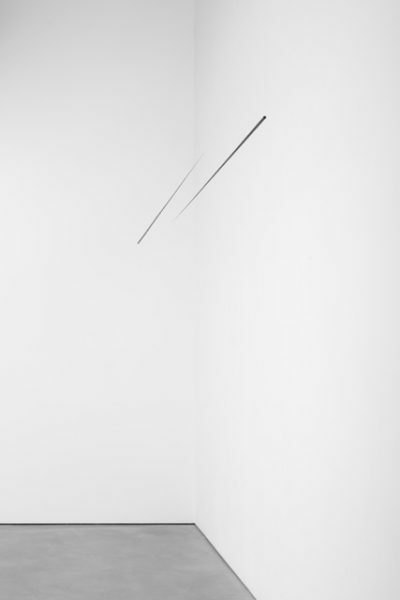 As the viewer walks past, the white disappears into the wall, leaving the black face to slowly emerge and then vanish again. Movement is implied. It is the simplest of optical tricks, but deeply pleasing. The sheer formal restraint of both Boll and Verheyen is viscerally enjoyable.